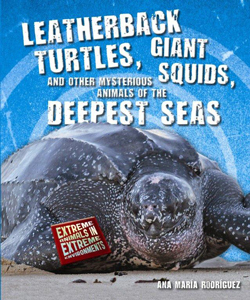 THIS FOUR-BOOK SERIES EXPLORES THE ADAPTATIONS THAT ALLOW EXTREME ANIMALS TO SURVIVE AND THRIVE IN THE MOST EXTREME PLACES IN THE WORLD. ILLUSTRATED WITH COLOR PHOTOGRAPHS, MANY FROM ACTUAL RESEARCH, AS WELL AS GRAPHS AND TABLES. 48 PAGES. HANDS-ON ACTIVITIES, GLOSSARY, AND FURTHER READING. THE PERFECT COMPLEMENT TO THE SCIENCE CURRICULUM! READ IT FOR THE PLEASURE TO DISCOVER THE SECRETS OF EXTREME SURVIVAL. HOW DID POLAR BEARS HAPPEN? WHAT DID PENGUIN ANCESTORS LOOK LIKE? WERE THE ICY WORLDS ALWAYS ICY? The Arctic and Antarctica are two of the most extreme environments in the world. They hold the world record for being freezing-cold, wind-blown, lip-cracking dry all the time and pitch black for half of the year. But despite these extreme conditions, many magnificent animals call these icy worlds home. 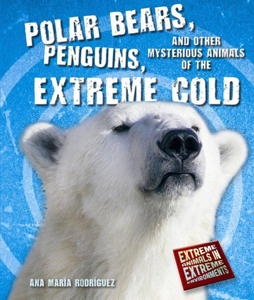 Tag along with the brave scientists that travel the extreme cold to study these extreme animals. Their hard work has revealed incredible findings. HOW DOES A BLIND FISH FIND ITS FOOD? CAN A GIANT CENTIPEDE EAT A BAT FOR DINNER? Caves are home to unique and bizarre creatures. Cave-dwelling animals have found ways to survive despite the low food supply, the complete darkness and the toxic conditions. Some never leave the caves. 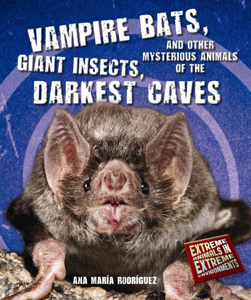 Vampire bats, giant insects, blind fish, long-legged spiders, and poison-tolerant creatures are some of the extreme animals living in extremely dark caves. Join the scientists as they crawl through narrow corridors to uncover the mysteries of extreme cave-dwellers. CAN YOU SURVIVE WITHOUT DRINKING WATER FOR MONTHS? HAS THE SAHARA ALWAYS BEEN A DESERT? HOW DOES THE KANGAROO RAT SURVIVE ON SALT-COVERED SALTBUSH LEAVES? Exploring the desert is an unforgettable experience. It's the hottest place on the planet. Most days there is not a cloud to shade the blazing sun. Within minutes, exposed skin shows signs of sunburn. It's very hard to find water and food is sometimes poisonous. Nevertheless, deserts burst with life. 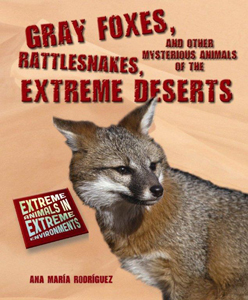 Slap sunblock, throw a hat on your head and follow the sun-tanned scientists in the quest for rattlesnakes, gray foxes, roadrunners, scorpions, javelinas and other extreme animals of the hottest deserts. WHY THE WATER PRESSURE DOES NOT CRUSH DEEP-SEA ANIMALS? HOW DEEP IS THE DEEPEST PLACE? IS THE BOTTOM OF THE SEA EMPTY OF LIFE? The deepest oceans pose unique challenges to animal survival. When light and warmth totally disappear, when pressure can crush most bodies, and when food is extremely rare, how do deep-sea animals cope? Wear your warmest jacket and gloves and hop inside an imaginary submarine for an expedition to discover extreme deep-sea animals.